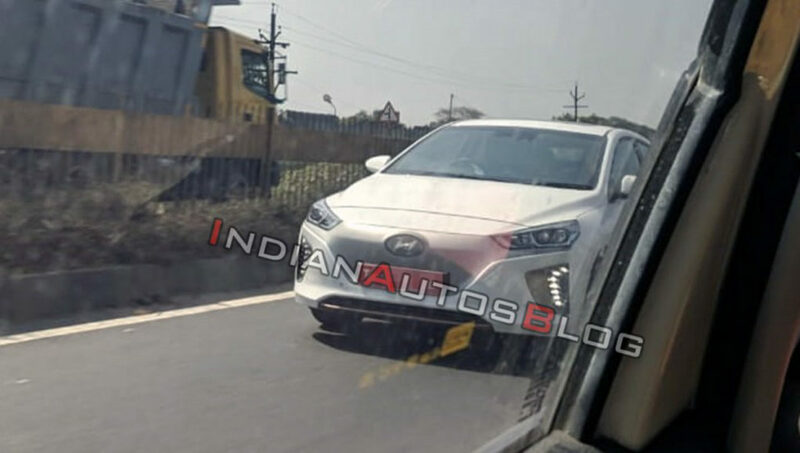 A fully uncovered test mule of the Hyundai Ioniq Electric Vehicle has been spied on test in Chennai. The sighting doesn’t come as a surprise as the Korean company had evaluated it for the India launch. While it has decided to launch the Kona instead, the carmaker could be testing the components near its facility in Sriperumbudur. While the Hyundai Kona will be launched in a few months from now, the launch of the Hyundai Ioniq hasn’t been totally ruled out as it might be finally introduced in the market. The fate of the smaller electric car will be decided as per the response to the Kona. The Hyundai Ioniq Electric Vehicle has a distinct styling that is courtesy of a unique nose that sets it apart from the hybrid and the plug-in hybrid versions. The new grille leads to a cleaner surface due to the lack of air vents. Other differentiating bits include LED headlights and updated tail lights, new alloy wheels, a copper-painted character line and copper-coloured interior appliques. Powering the Hyundai Ionqi Electric Car is a 88 kW electric motor that offers a peak torque of 295 Nm. The motor gets its fuel from a 28 kWh Lithium-ion polymer battery pack that has been placed below the rear seats. The car has a driving range of more than 280 kms and a top speed of 165 km/h. The Hyundai Ioniq Electric Car has an onboard charger of 6.6 kW, which can be connected with a 7 kW electricity port. Charging the battery completely takes 4 hours and 25 minutes. However, a 100 kW fast charger can give 80% of charge in 23 minutes. 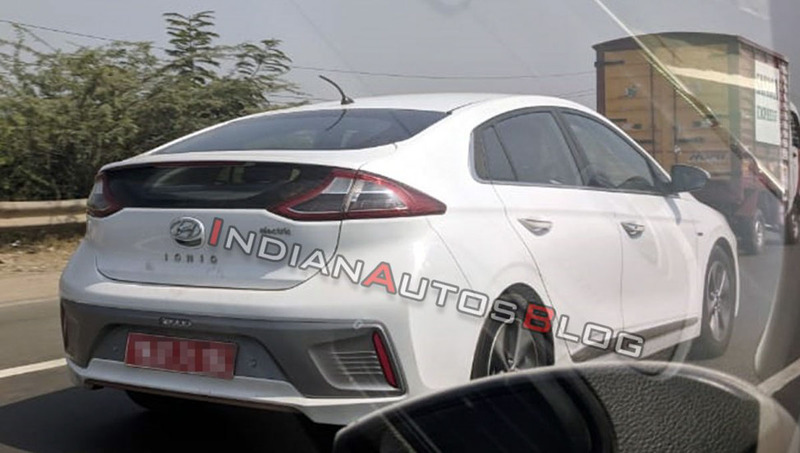 The Hyundai Ioniq Electric Car could be launched after the Kona EV is introduced to understand the Indian market. If launched, it will cost at least Rs 20 lakh (ex-showroom).